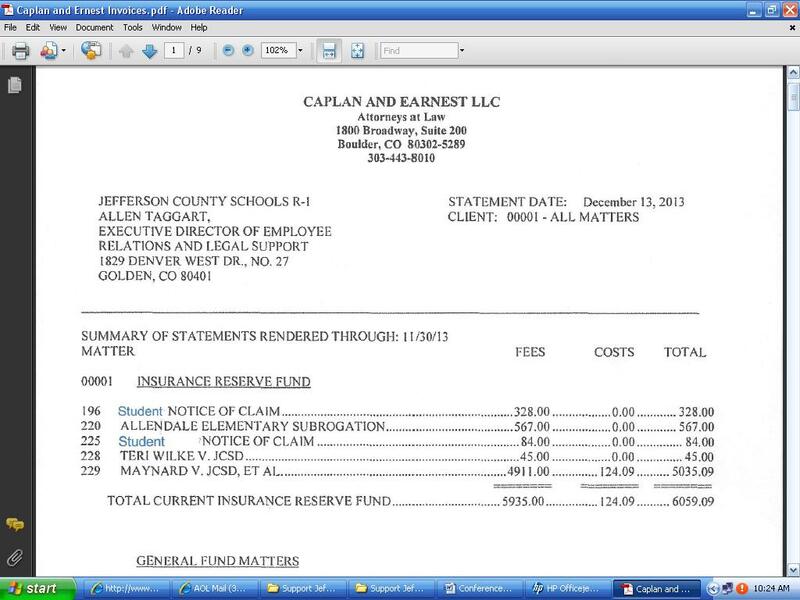 Support Jeffco Kids has shown you the redacted invoices received via CORA request for the Law Offices of Brad Miller. 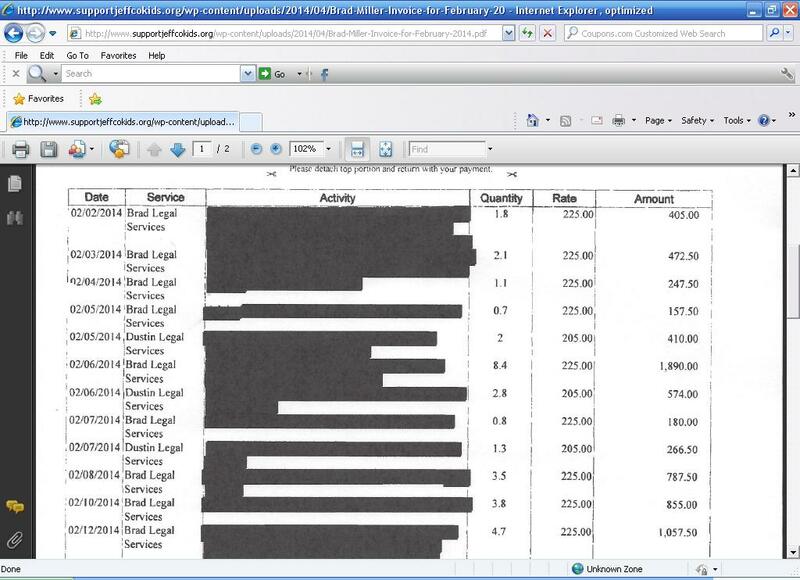 We were quite surprised to see invoices with no information redacted at all – not even the names of individuals were redacted. 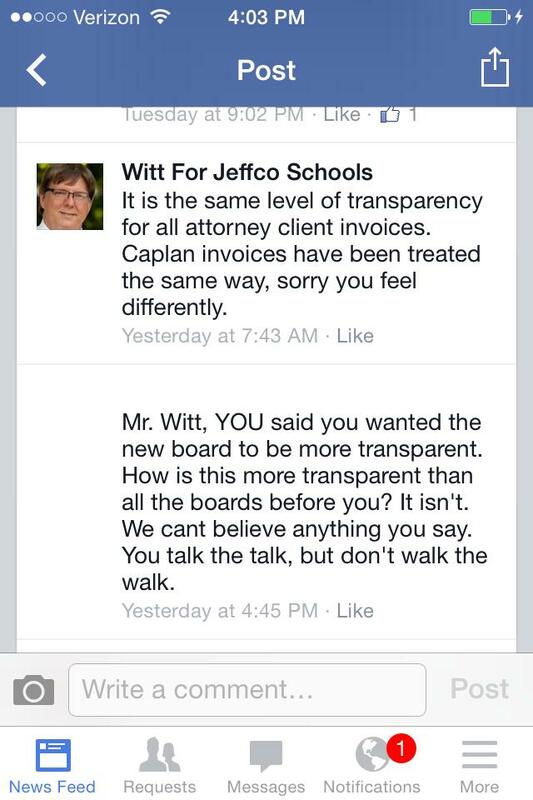 However, it appears that our Board President is claiming that all attorney invoices are treated the same way. Obviously, this is untrue. Just a little transparency can fix all of this. Answer letters to the board fully, offer up information willingly, listen to community surveys, and remember that the community supports our Jeffco schools.